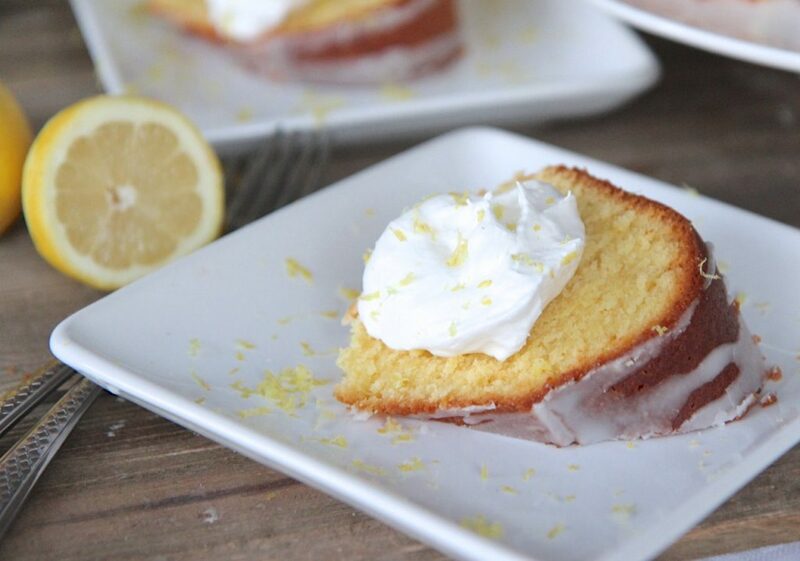 Watch me make this southern lemon pound cake from start to finish! The weather has been INSANE here lately. Get this, it was over 70 degrees last Monday and snowing up a storm on Saturday! And now as I look outside mother nature is doing this weird off and on rain-sunshine-cloudy thing. I’m kinda like ..over all of her split personalities! I’m ready for some Spring sunshine!! So I did what I always do when I’m craving sunshine on a cloudy day. I MAKE SOMETHING WITH LEMONS!!! I’ve said this so many times but lemons truly make me happy!! They always have, even when I was little. There is just something about their bright, cheery color and fresh, crisp scent that makes me smile. 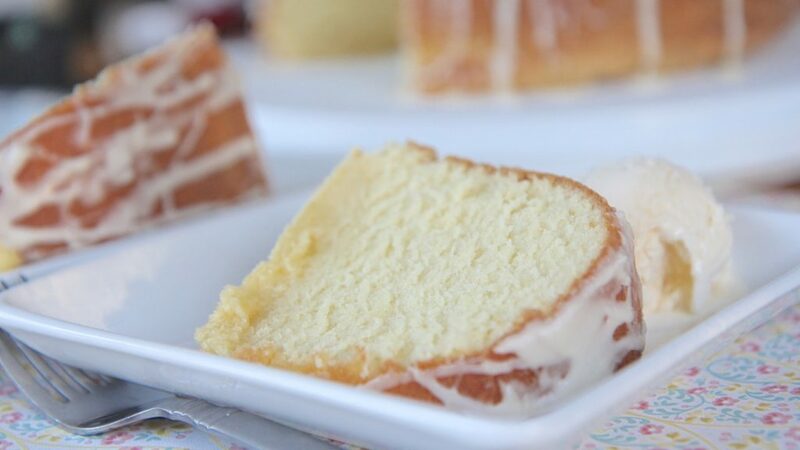 Today I’m going to be making a highly requested recipe for some good ol’ Southern Lemon Pound Cake from scratch! I have two lemon pound cakes that I make often but I wanted to share this one first since I’m making it for a friend. It’s always a win when I can knock out 2 birds with one stone (which is a really mean figure of speech to say, now that I’m thinking about it) and not have to keep the desserts in my house! I seriously wish I could make this stuff and pass it through the screen. There is only so much my family and I can eat! I use to pass most of my Divas Can Cook recipe to my in-laws and then they up and went gluten-free on me! Sheesh! 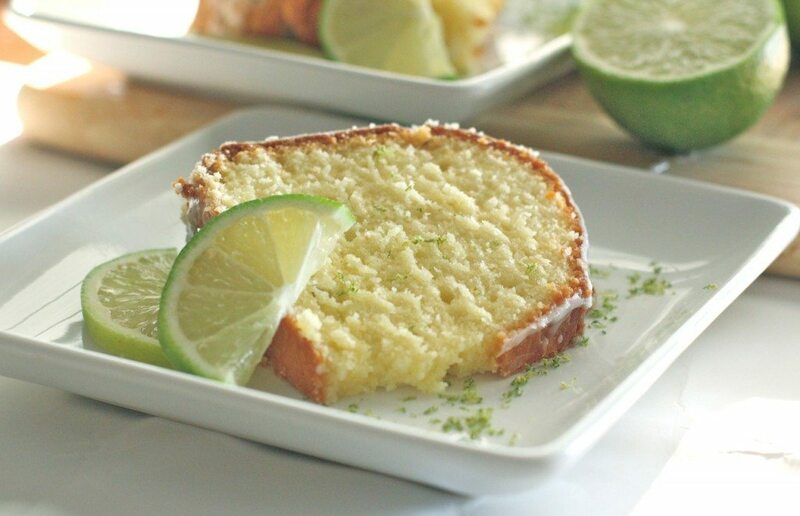 I digress, lemon pound cake is one of my favorites! 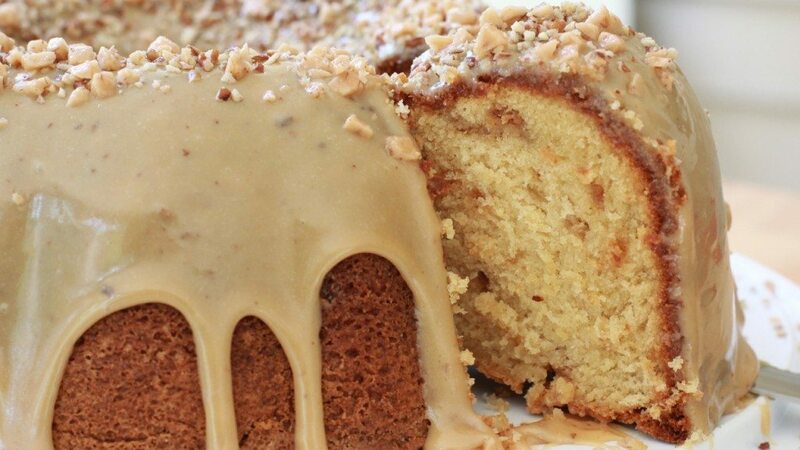 It’s right up there with this brown sugar caramel pound cake. 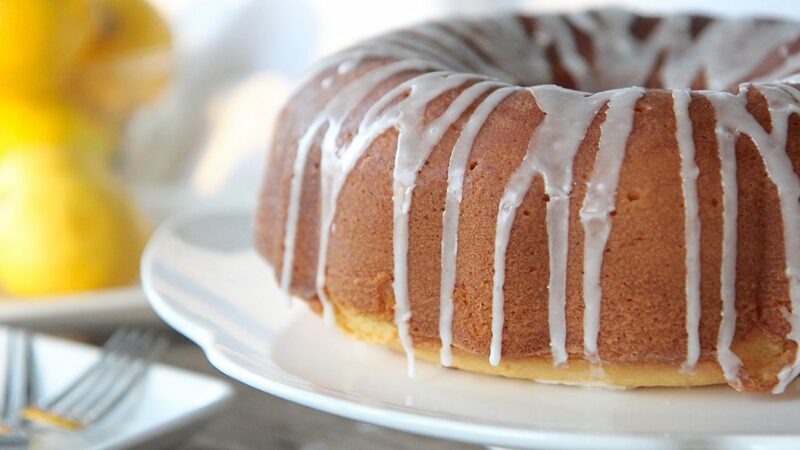 The texture of this lemon pound cake is amazing!!! Thanks to the shortening, lemon yogurt and buttermilk! It produces this velvety fluffy yet perfectly dense pound cake that is simply incredible! And let me just say how much I adore the lemon-sweetness ratio! Sometimes it can be so hard to strike a good balance of tart but not too tart when it comes to lemon flavored baked goods. And sometimes the lemon flavors just disappear altogether! The oven tends to downplay the lemon flavor so I always layer it! 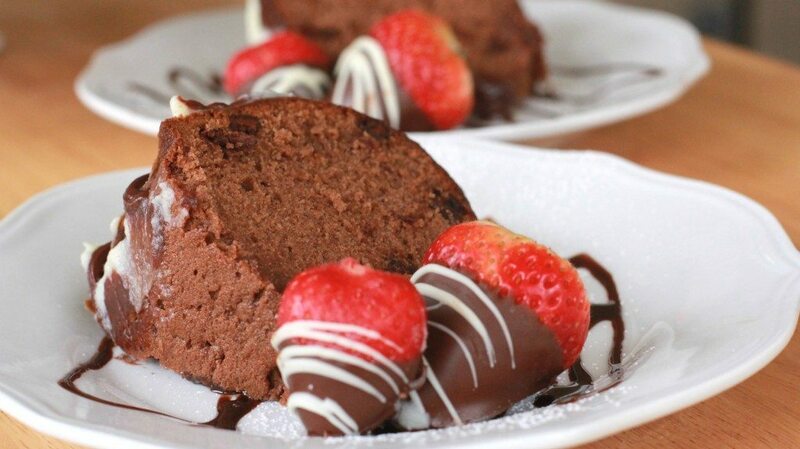 To Add Pudding or Not to Add Pudding?…That Is The Question! 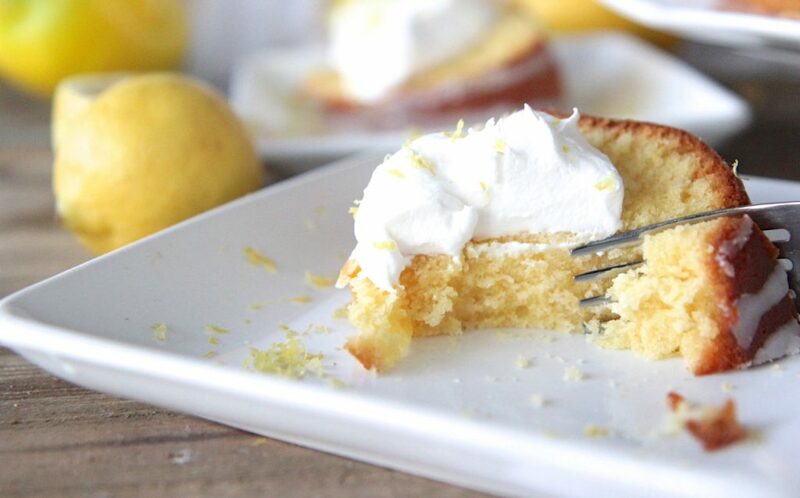 This is the big decision when it comes to lemon cakes. 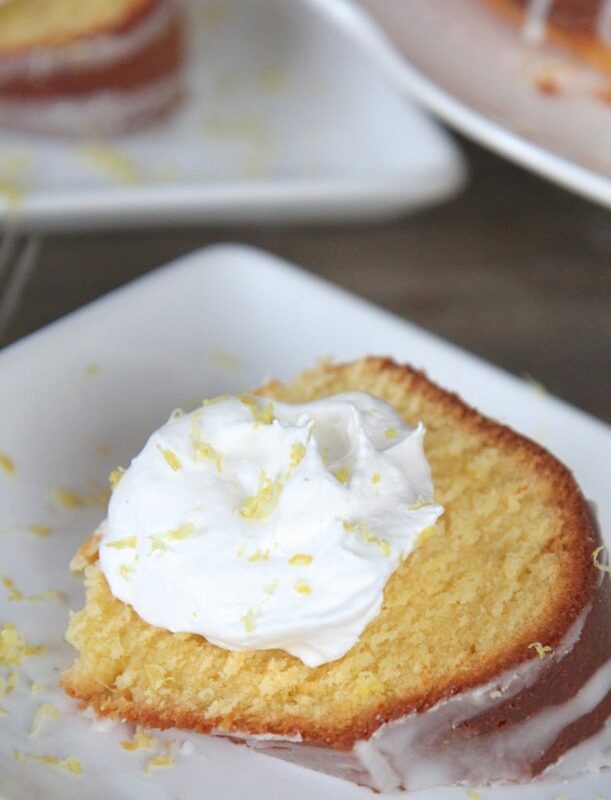 In this lemon pound cake recipe I’m using lemon zest, fresh lemon juice, pure lemon extract and lemon yogurt!! Yep, it’s all about layers! I personally tend to steer clear of using lemon jell-o, lemonade mix or lemon pudding in my lemon cakes. Yes, those items give a MUCH bolder lemon flavor and gorgeous yellow color but to me it’s too much like that artificial grocery store bakery lemon taste, which my husband loves but I’m not a huge fan of. But hey let’s be clear, I’m not knocking you if you do, rock on sister! I’d def. devour it either way simply because I have yet to meet a cake I didn’t love! 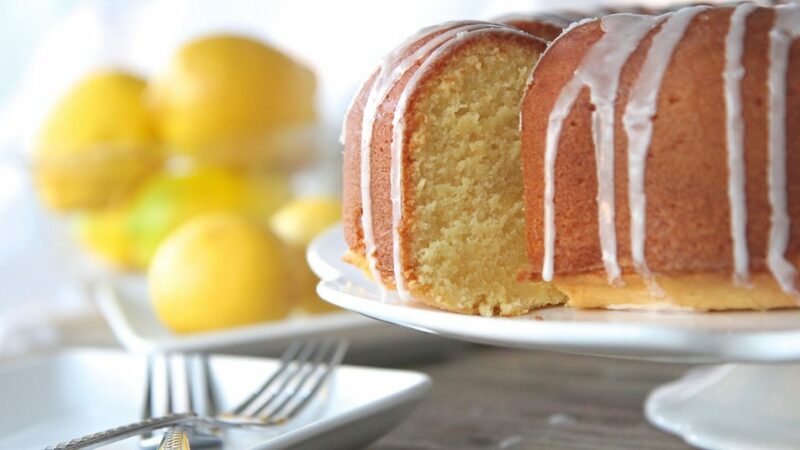 This southern lemon pound cake delivers nothing but good ol fashioned fresh lemon flavor. It’s not overpowering but you’ll def. know it’s there. If you want , you can add some yellow food coloring to boost the yellow color. Want a darker yellow lemon pound cake? 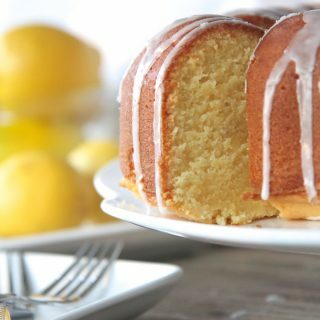 Most homemade lemon desserts, including this lemon pound cake won’t come out as that bright yellow color you see with store bought cakes, simply because lemon juice is not that color. I don’t mind one bit, but if I’m making this cake for someone or company I always add a bit of food coloring, simply because people love the look of a yellow lemon cake. You can purchase natural yellow food coloring made from lemon zest or turmeric. I’ve never used that kind but it would be a pretty cool option if you’re not into artificial coloring. My grandmother makes her lemon cakes a deeper shade of yellow by adding in a few more egg yolks or simmering lots of lemon zest in a bit of water. 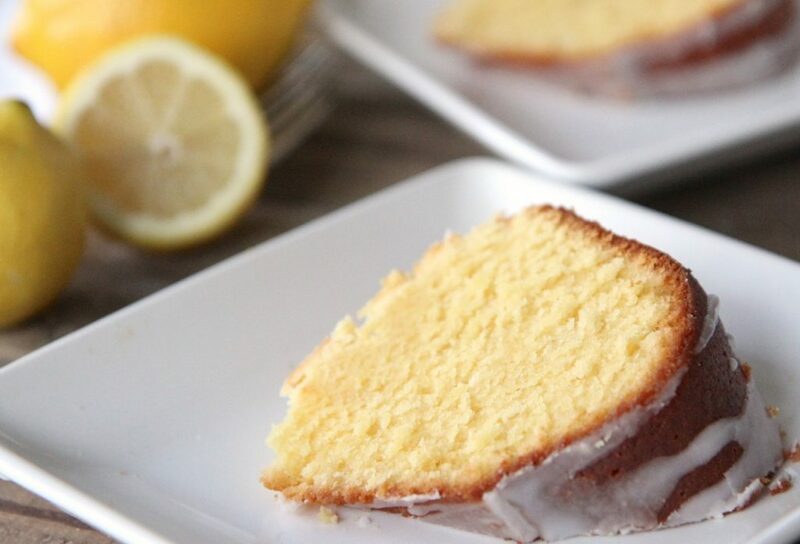 Tips for making the BEST LEMON POUND CAKE! Use Meyer lemons if you can find them. I swear they taste better but I could just be crazy. Layer the moisture! I’m a big fan of putting as much moisture as I can get away with in pound cake, especially lemon. Nothing worst than a dry, crumbly lemon pound cake! This recipes rely on my favorite, trusty standby: BUTTERMILK!! And some lemon yogurt for moisture. I love the crust on this cake! It’s golden with that slight, chewy crunch and tart from that fine brushing of lemon simple syrup and lemon glaze. Don’t skip those ok. They really balance out the sweetness of the cake. 1 cup unsalted butter, room tempt. Add vanilla extract and lemon extract. Mix in yogurt and buttermilk. Mix in lemon zest and lemon juice. In a separate bowl whisk together flour, baking powder, and salt. Gradually add the dry ingredients into the wet ingredients, mixing well, but gently. Shake pan to smooth out and to release any trapped air. Remove from oven and let cool until pan is warm. Mix together lemon syrup mixture and slowly brush over the cake. Go slowly so the syrup seeps into the crust. You won't need all of the syrup, just enough to do one light coat. 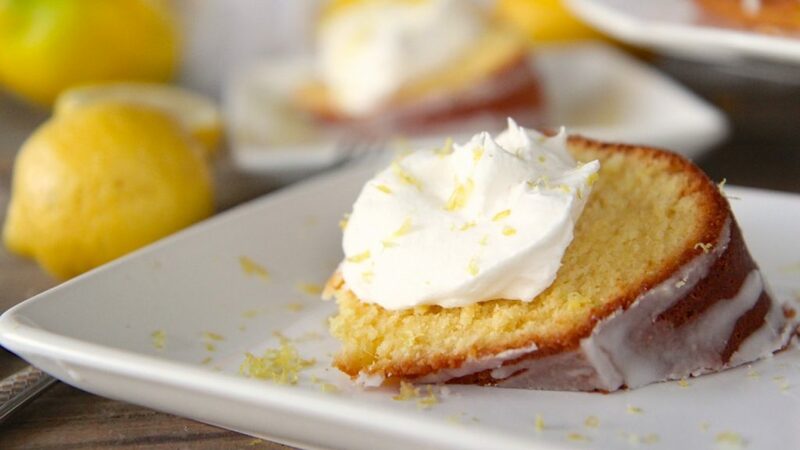 Once syrup has dried and cooled completely, mix together lemon glaze ingredients (adding more lemon juice if needed) and drizzle over the cooled cake. Serve with fresh whipped cream sprinkled with lemon zest if desired. When mixing in the butter, sugar, and eggs, use a medium speed to prevent the infamous pound cake streaks. And go easy after mixing in the flour. 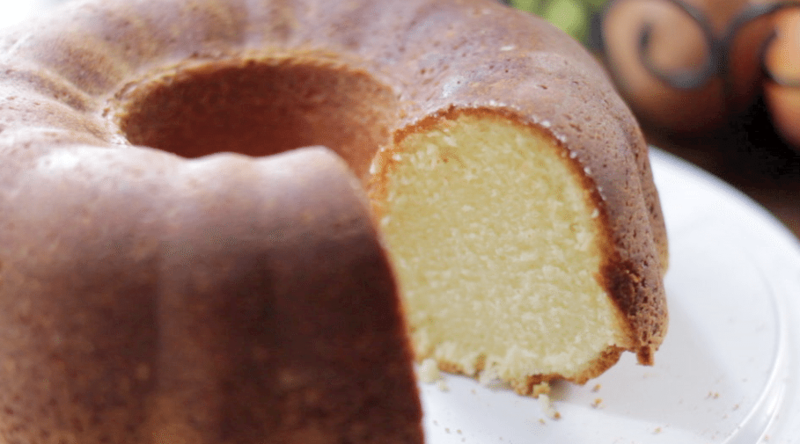 Want more homemade pound cake recipes? I made this cake today and it was de-licious!!! I made a couple of changes: I used Swan’s Down cake flour and instead of buttermilk, I used heavy whipping cream. INCREDIBLE texture! You rock! Thank you!